Modern TV is always regarded as the last one to watch movies or TV shows thereon since your iPhone 6/6 Plus is your very own portable TV, cinema screen and an entertainment box all rolled into one owing to various iPhone iPad free movie apps. Not only can they aid you to dig out more of what you prefer, they are able to assist you to enjoy what you love more than ever. That being said, not all free movie streaming apps for iPhone are made equal, and it would be tough to tell the cream of the crop from countless Apple free apps. That's why this article comes in. 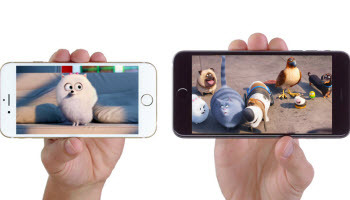 Here are the best free movie apps for iOS devices (iPhone 6/6 Plus, iPhone 8/Plus/7/6s/SE/XS/XR) that are awesome for movies and TV streaming, so that the next time you are one the move, you don't get bored and get your daily dose of entertainment. No.1 fast speed to transfer movies between iPhone and Mac/PC. Import any movie to iPhone (MKV, HEVC 100MB, AVI) with built-in converter. Auto Unlock protection protection from iTunes purchased movies, convert M4V to MP4 and export to PC for playback with VLC, non-Apple device (legal personal use). Given different users have different needs, in a bit to serve for you to the maximum degree, this article consists of three parts to introduce the best free movie apps for different portable device users. Netflix is reported as the biggest source of North American downstream web traffic, at 32.3%, and registered 28.8% of aggregate traffic from Sandvine 2013 report. It's the top movie streaming site that provides you with connectivity from almost every corner of the world. And the best part is that Netflix finds its way to offer the free iOS 11 movie app for iPhone XS/XR/8/Plus/7s/7/6s/6/SE/5s and iPad Android users to watch and stream all types of movies and TV shows. Speaking of IMDb, probably you think of the internet movie database. Well, congratulations, this time your radar gets the wrong signal. Here what presents for you is the IMDb free movie app for iPhone (8), which is one of the most authoritative sources for anything you want to know about a movie or TV show, as well as any celeb or director involved with it. As you'd expect, IMDb has an iPhone/iPad free HD movie app that makes it easier than ever to refer to details about movies and TV shows. From cast lists to director profiles, anything you're interested in is there. Redbox, maybe this name is unfamiliar to you, but admit it or not, it's one of the most popular movie apps free for iPhone iPad. 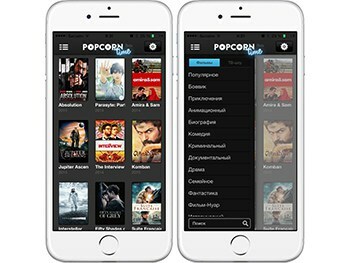 On this fabulous movie app for iPhone iPad, you can find out the new release movies, most popular blockbusters and the much-awaited coming soon films. And one of its extra edge has to mention is that it even provides the game buffs with plethora of exciting games, from NBA 2K15 X360 to Madden NFL 15 PS3. This free movie app designed for both iPhone 6/7/8/XS/XR and iPad is an all-round movie information app inclusive of the latest Hollywood blockbusters in theaters, the coming soon film worth expecting and the film opening this week. You can get the latest movie times, guarantee tickets, and check out exclusive Fandango content – all at your fingertips. XBMC now changed name to Kodi, is a multi-platform yet free movie apps for iPhone (iPhone XS/XR/8/7/6s/SE/6), iPads and Android, which allows users to play and view most videos, music, such as podcasts from the internet, and all common digital media files from local and network storage media. More incredibly, this well-received iPhone free movie app is highly customizable that after you install certain plug-ins, you are allowed to access online content on services including YouTube, Spotify, Grooveshark and Pandora Radio, etc. 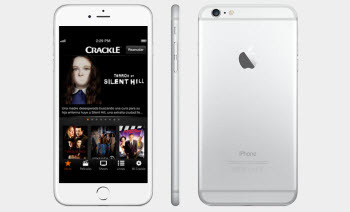 The last but not least top movie app free for iOS 11/10/12 iPhone 8/7/6 is the highly sought-after Crackle, which is considered as the must-have app for movie buffs as it lets you watch sorts of full-length movies or TV series with HQ as you wish. Yet, the least of perfection is that some video ads will be shown in this free iPhone iPad app. 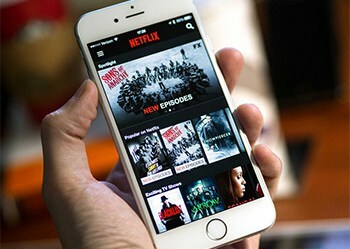 For watching movies, it's advisable for you to make your iPhone iPad connected with Wi-Fi. Beyond all doubt, the above mentioned movie apps free for iPhone 6/7/8/XS/XR are amazing for movie enjoyment. Yet, when applying these free iPhone movie apps, you probably encounter the following cases. Case One: watching movies on the movie app, you are required to stay at a good 3G/4G LTE connection or Wi-fi covered areas. But the truth is that the network doesn't penetrate into every corner in this world. Case Two:When meaning to watch online movie on iPhone 6/6 Plus, you will find out that some of they ask for membership. If not, you might only enjoy the limited film resource. 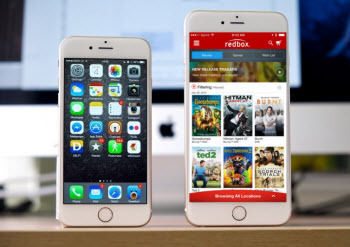 In such case, maybe downloading movies free to iPhone 6/7/8/XS/XR for offline enjoyment is much more sensible, for you can watch HD movies on your fascinating iPhone 6/6 + without worrying any network buffering or traffic jam. And to download YouTube movie free to iPhone iPad, all you need to prepare is just one solid yet cost-free YouTube downloader. Here the world-renowned MacX Video Converter Pro is the very one you can count on, which delivers the seamless performance in downloading MP4, AVI, FLV, MKV movies, as well as 720P, 1080P, 4K UHD movies from YouTube, Facebook, Dailymotion, Pandora TV, Myspace, Metacafe, etc. 300+ movie video sites to iOS 12/11/10/9 iPhone 6/6s/SE/7/8/8 Plus, iPads, Android in mins & HD quality. Assuming your iPhone 6/6+ is jailbroken and you are searching for some terrific movie streaming Cydia Apps to let you watch and download your beloved movies, then no worries since here brings you the Top 3 free Cydia apps for movies. With these free Cydia movie apps, you can fulfil your desire of watching movies right from iPhone 6/6+, with nary a hassle. Good news for jailbroken iPhone iPad users that the most popular movie torrent streaming app finally comes to jailbroken iOS device. The widely-called "Netflix for pirates" Popcorn Time is a free and open source media player that streams copyrighted videos and movies via torrents in real-time, without the hassle of downloading them first. Originally only for Android, Windows, Mac OS X and Linux, this far-famed free movie app now is also available for jailbroken iPhone 6/6+/5S Apple devices with a greater movie streaming performance than Netflix in terms of ease of use. For those who are eager to enjoy some outstanding movies, TV shows and videos, here one free Cydia App called UnlimVideos is the one made for you. 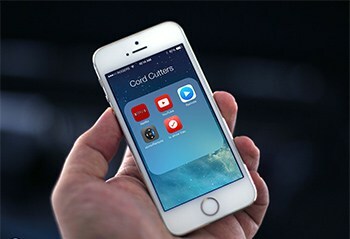 This crafted Cydia app for free movies consolidates all of your preferred sites into one app and allows you to stream and download over 7000 multimedia files, e.g, movies, TV shows and other exciting music or MV from Mediafire, Sendspace and more. In short, it is ideal for all those you are addicted to movies watching on iPhone iPad iOS devices. Assisted by iPlayApp Cydia app, you can stream hundreds of movies straight to your iPhone 6/7/8/XS/XR, iPod Touch and iPad Air 2/mini 4 for totally FREE. It features a clean GUI (graphical user interface) and promises regular content updates on every single new event, premiers, etc. And iPlayApp embraces different categories which include most rated movies, latest movies and upcoming films and give you a cue on what is worth a watch and should be appreciated first. Tip: Some Cydia movie apps you are using are bound with limited downloading resource, so if you want to download more funny movies or videos for leisure relaxing, visiting the biggest video-sharing site YouTube is the better option. Same as before, to keep away from endless network issues, to download and convert YouTube movies/videos to iPhone 6/7/8/XS/XR readable formats is the best bet. Here the best-selling MacX Video Converter Pro can do that favor for you within merely 4 clicks to download and convert any YouTube movie directly to your latest iOS 12 iPhone XS/XR/X/8/7/6s/SE/6/Plus, iPad Pro, iPad Air 2/mini 4 with world's fastest speed (Intel QSV supported) and zero quality sacrificing. So you can enjoy any interesting movie/video on iPhone iPad anytime anywhere. After introducing various free movie apps for iPhone iPad users, it's high time to present top movie apps free for Android users. Now let's have a brief look at the most common free movie apps used by Android lovers. *All the latest movies included. *High Quality and sharp image. *Streaming or downloading depends on you. *Nice movies with a touch of indies. *Movies playback fast and the quality is fairly good. *Easy-to-use interface with large icons. *The interface is very sleek. Download the best free movie apps for iPhone 7/6SE/6s Plus, iPads and free Cydia movie streaming apps for jailbroken iDevices to watch free movies on iPhone iPads, Android or tablets. Here lists out the best free apps for iPhone 6/6+ (iOS 11), including movie transfer app for iPhone 6, free video player app for iPhone 6 iOS 10/9/8, music app for iPhone 6 and more. Follow me to learn how to download movies to iPhone XS/XR/X/8/7/7 Plus/6S/6S Plus/SE/6/6 Plus/5S/5C/5/4S with full length and no costs. 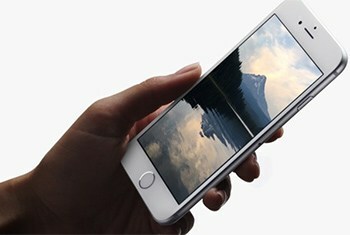 And the steps to download free HD movies to iPhone will be included, as well. MacX MediaTrans is an all-in-one iOS iPhone transfer app to transfer movies from iPhone 6 /6s/Plus/SE to Mac, as well as backup photos video music between iPhone iPad iOS and Mac with world's fastest speed!